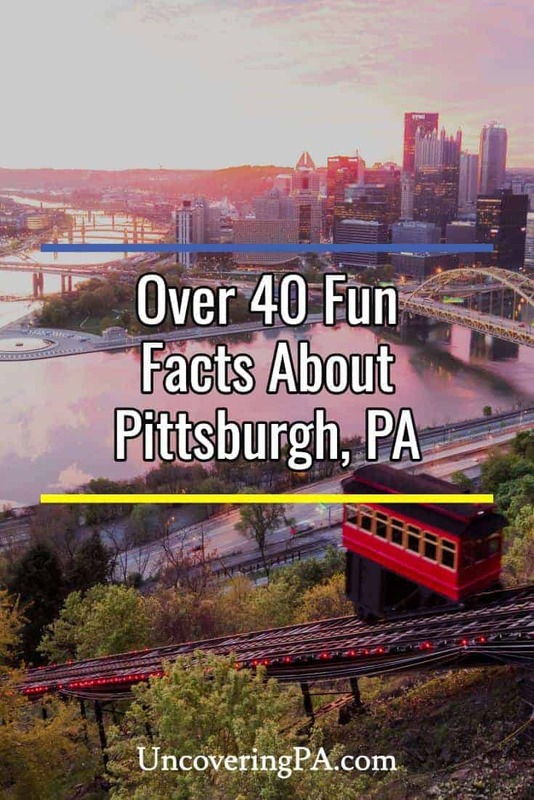 Want to learn fun facts about Pittsburgh, PA? You’ve come to the right place. Pittsburgh might be one of the most consequential cities in American history. 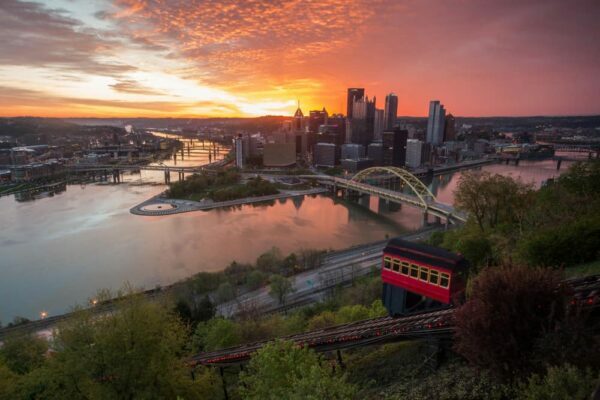 From the late 19th through the mid-20th centuries, Pittsburgh was a center of industry and was responsible for many of the raw materials that powered the American economy. 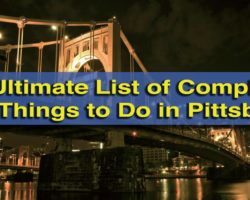 In more recent years, Pittsburgh has become a leader in technologies such as robotics, self-driving cars, and medical advances. This combination of history and modern technology makes Pittsburgh an amazing place to visit and a fascinating city to learn about. 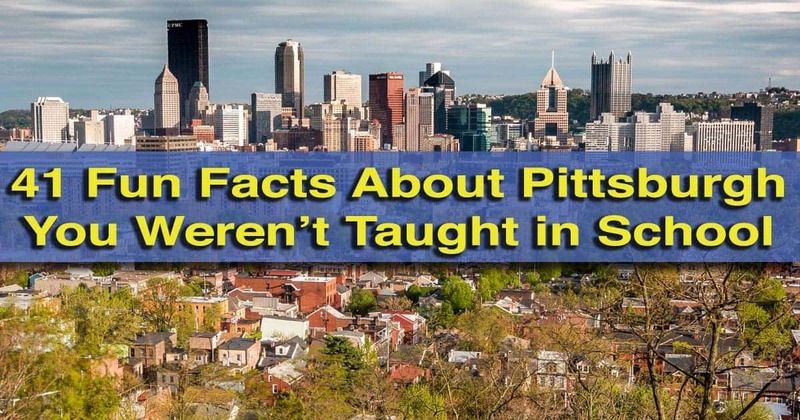 Here are 41 fun facts about Pittsburgh that you probably didn’t know. Pittsburgh has more bridges than any other city in the world. 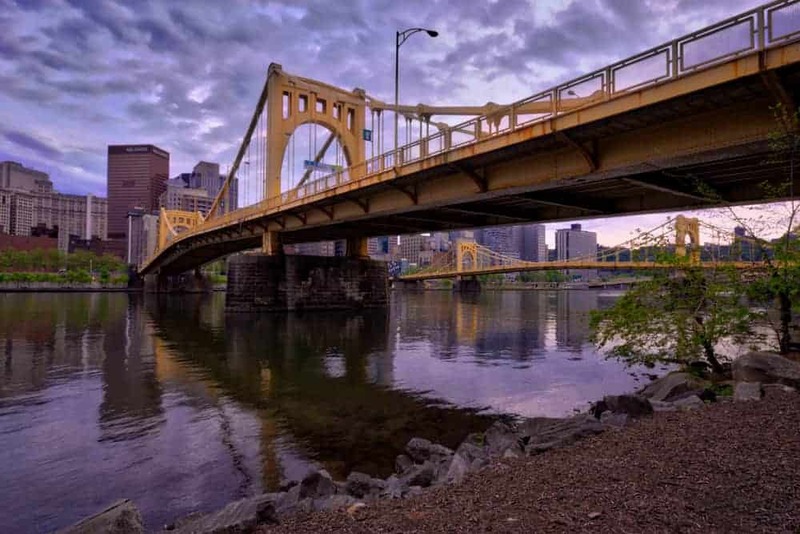 Pittsburgh is known as the “City of Bridges” because it has 446 bridges which is more than Venice, Italy, or any other city in the world. Pittsburgh is the largest city in the region known as Appalachia. The Polio vaccine was created by Dr. Jonas Salk in Pittsburgh in 1950. Pittsburgh is home to the world’s first T-rex fossil. There are more than 700 sets of public stairs within the city limits of Pittsburgh. They are maintained by an Inspector of Steps. 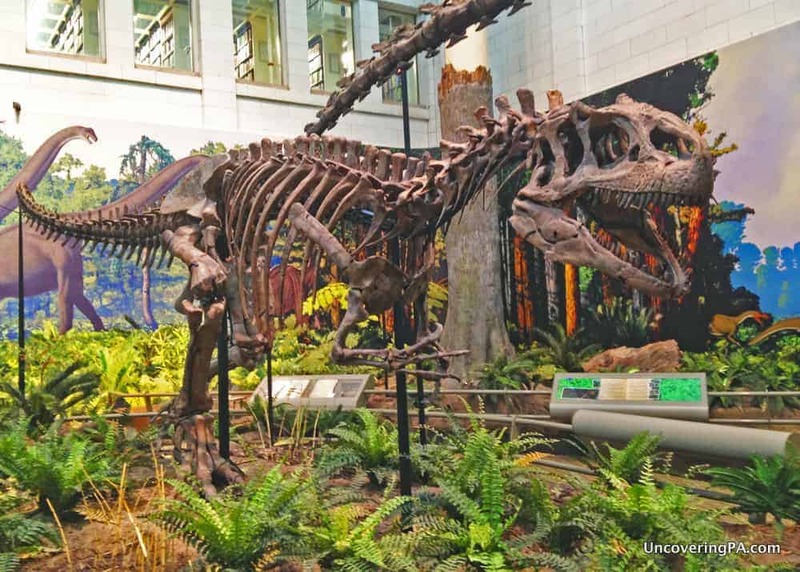 The world’s first T-rex skeleton is on display at the Carnegie Museum of Natural History. Pittsburgh has more days of rain and snow than Seattle, Washington. In 1905, Pittsburgh became home to the first Nickelodeon, or modern movie theater. Did you know that the Steelers logo was originally used by U.S. Steel? 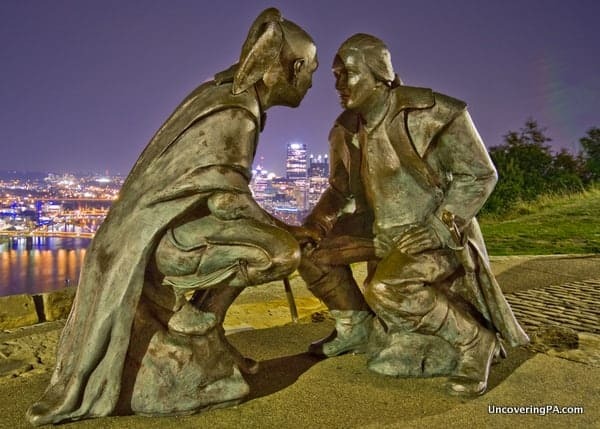 While St. Louis is known as the starting point of the Lewis and Clark expedition, the explorers actually first met up in Pittsburgh before heading west on the Ohio River. 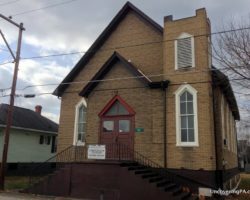 Pittsburgh’s St. Anthony’s Chapel is home to more Catholic relics than anywhere else in the world except for the Vatican. The stars in the Pittsburgh Steelers’ logo aren’t stars. They are hypocycloids. The logo was “borrowed” from U.S. Steel, which was based in the city. Pittsburgh’s Beechview neighborhood is home to the steepest street in the United States (and possibly the world): Canton Avenue. It is as steep as 37 degrees. 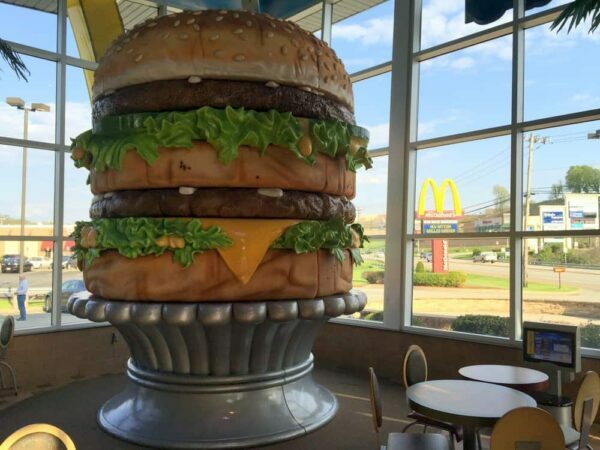 The Big Mac was invented in the Pittsburgh suburbs. The Big Mac was invented in the Pittsburgh suburbs by Jim Delligatti, a local McDonald’s franchisee. It was first sold in 1967. 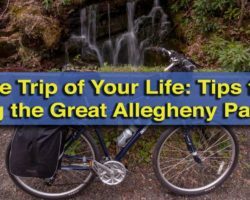 The oldest-known site of human habitation in North America is located just south of Pittsburgh at Meadowcroft Rockshelter. Pittsburgh is home to the first commercial radio station in the world, KDKA. The station began by broadcasting presidential election results on November 2, 1920. In 1903, the first World Series was held between the Pittsburgh Pirates and the Boston Americans. Boston won the series five games to three. The Fort Pitt Blockhouse is the oldest structure in western Pennsylvania. In 1920, 80% of the glass made in the United States came from Pittsburgh. 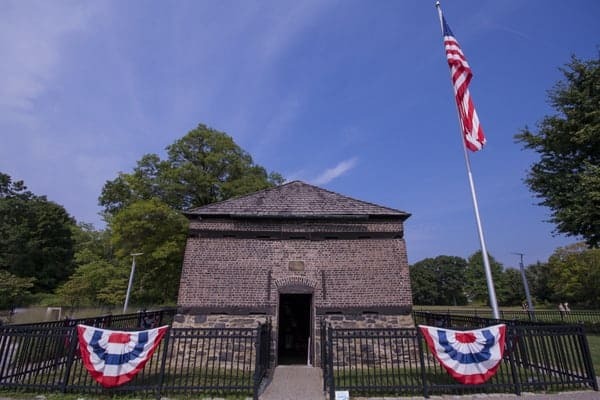 The Fort Pitt Blockhouse in Point State Park is the oldest structure in western Pennsylvania and dates back to 1764. When the Civic Arena opened in 1961, it was the world’s first retractable dome stadium for a major sports team. Another fact about Pittsburgh that few know is that from 1891 to 1911, Pittsburgh was officially spelled without its “h”. The Cathedral of Learning is the second tallest university building in the world. 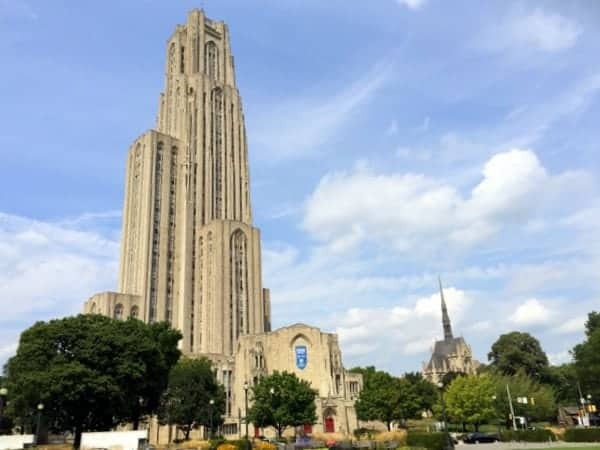 The University of Pittsburgh’s Cathedral of Learning is the second tallest university building in the world. In 1808, Allegheny County produced enough whiskey each year to give every American man, woman, and child half a barrel of whiskey. Baseball Hall of Famers Stan Musial and Ken Griffey, Jr. were both born on November 21 in the small town of Donora, PA (though 49 years apart). In May 1918, the country of Czechoslovakia was created in Pittsburgh when the Czechs and the Slovaks signed the Pittsburgh Agreement. The Point of View statue on Mount Washington commemorates Washington’s visits to the area. George Washington made at least seven trips to western Pennsylvania and entered Pittsburgh’s modern city limits at least twice. Pittsburgh has more bars per capita than any other city in the country (12 per 10,000 residents). The first baseball game broadcast on the radio was on August 5, 1921 when the Pirates defeated the Philadelphia Phillies at Forbes Field. Roslyn Place in Pittsburgh’s Shadyside neighborhood is the last wooden street remaining in Pennsylvania. The road was constructed in 1914 of 26,000 wooden blocks. Bicycle Heaven is the world’s largest bicycle museum. 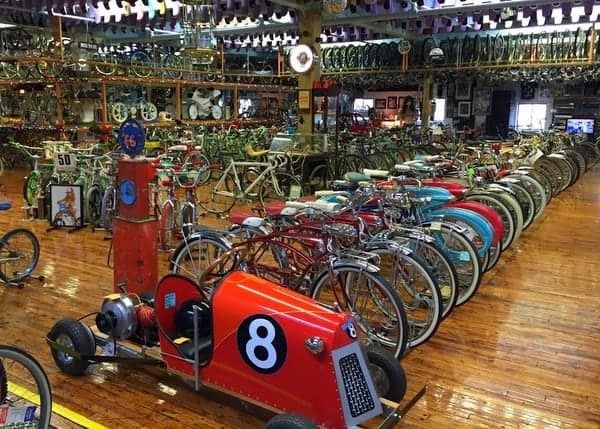 Bicycle Heaven in Pittsburgh is the world’s largest bike museum (and even better, it’s free). The country’s first gas station was opened in 1913 at Baum Boulevard and St. Clair Street in East Liberty. Opened in 1895, the Carnegie Museum of Art was the world’s first Modern art museum. The Duquesne Incline is one of two inclines remaining in the city. Pittsburgh is famous for its two inclined planes on Mount Washington, but at one point, there were as many as 15 inclines in the city. Because there weren’t enough players during the 1943-1944 season, the Steelers and the Philadelphia Eagles combined for one season to play as the Steagles. Want another fascinating Pittsburgh Fact? 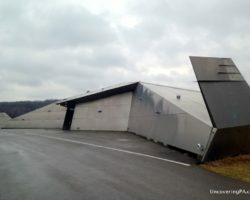 North Park is home to a Gravity Hill where cars appear to roll uphill. Soldiers and Sailors Memorial Hall is the largest memorial in the country dedicated to all branches of military service. 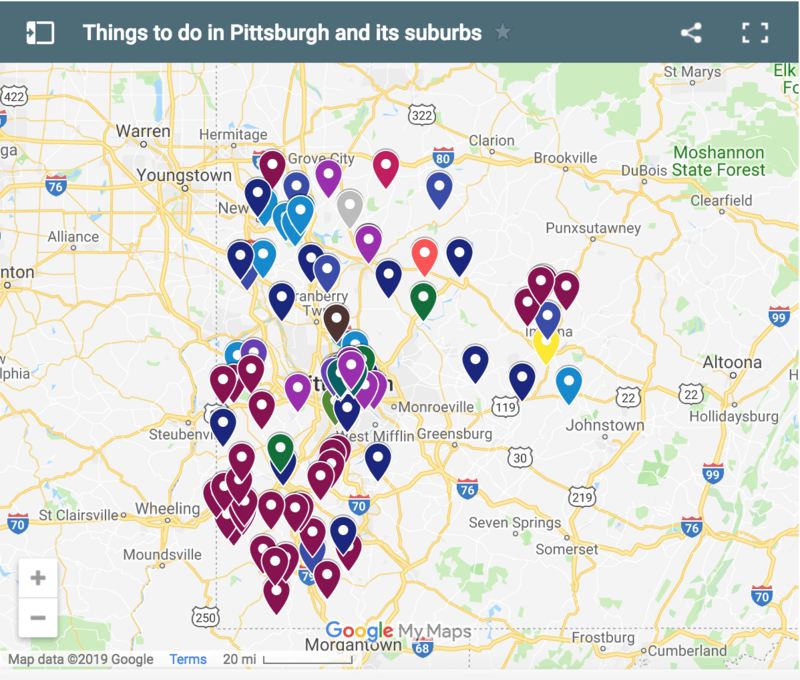 The Pittsburgh suburbs were home to many great NFL quarterbacks including Joe Montana, Dan Marino, Joe Namath, Johnny Unitas, and Jim Kelly. The Andy Warhol Museum is the largest single-artist museum in North America. Steel made in Pittsburgh was used to build iconic structures like the Empire State Building, Golden Gate Bridge, and many of the ships built during World War II. Pittsburgh’s WQED was the first public radio station in the country when it began broadcasting in 1954. 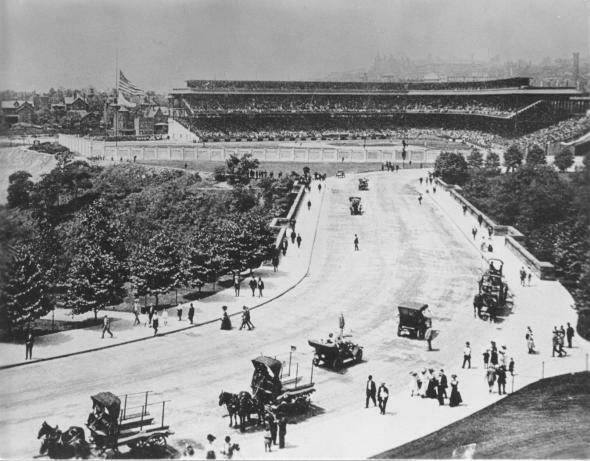 Forbes Field was the country’s first concrete and steel baseball stadium when it opened on June 30, 1909. Want even more facts? Check out our list of Pennsylvania facts and our list of facts about Philadelphia. You forgot to add George Blanda to your list of western PA famous football players. He was born and raised in Youngwood, PA.